This is nothing very important in the history. I have searched the google on the name Totini prasad pal. Nothing related found. 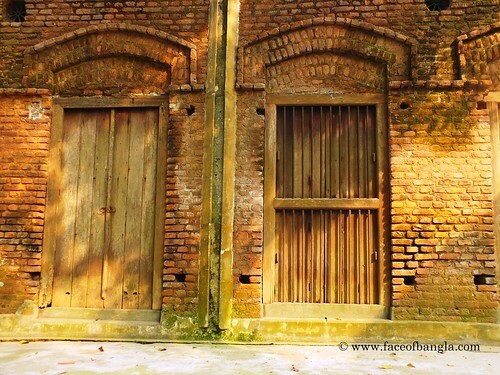 But Munshiganj district is full of such untold history and old structure. 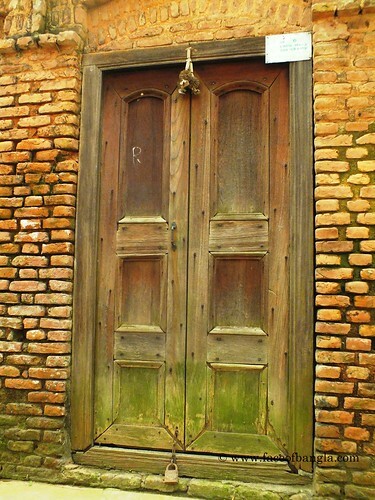 I went to Abdullahpur Mouza (আবদুল্লাহপুর মৌজা) of Tangibari Upazilla for an eviction duty. There in the village, I noticed an old house. Realizing my interest, some locals told me that there are more houses like that, just within short distance. After finishing my job and having lunch, I went to the place, the locals directed earlier. It is called Pal's House. I found a man delivering teaching to some students in one of the room of the house. He came out and narrated him one of the distance offspring of the owner of the house. 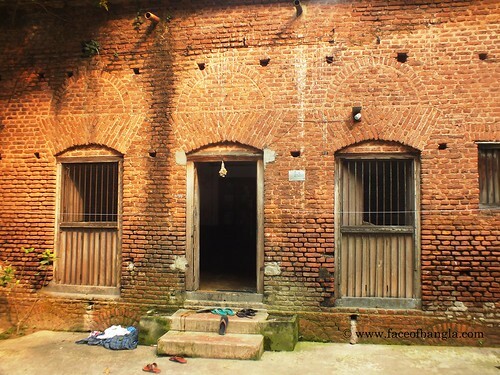 According to his description, This house was built by Totini Prasad Pal (তটিনি প্রসাদ পাল). He was a rich businessman. 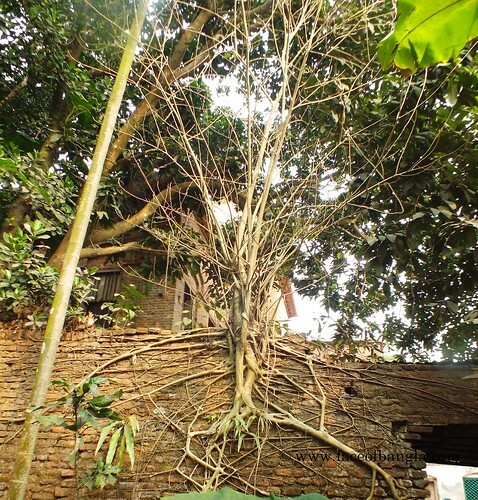 He had business of betel nut (সুপারী). 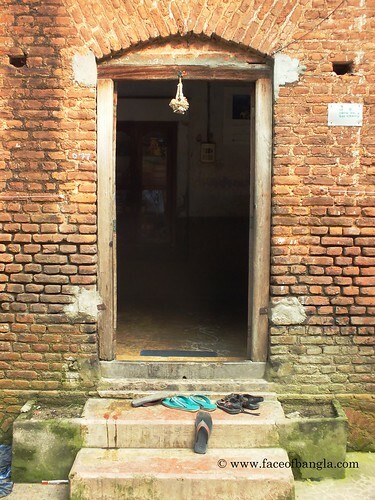 There were several houses in the place, all were owned by Totini Prasad Pal. 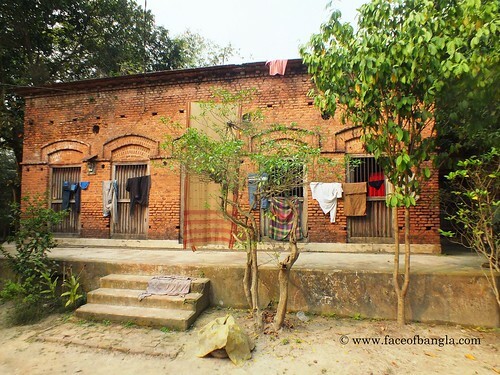 Now, the houses are possessed by some distance offspring of the man and locals predict that those houses were built during middle of the nineteenth century. 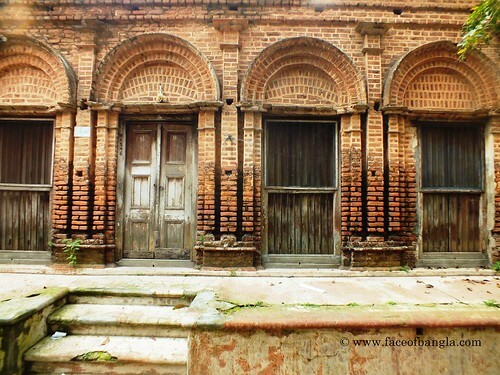 Every district of Bangladesh has such kind of old hindu properties. Some has become vested property and others just became extinct. 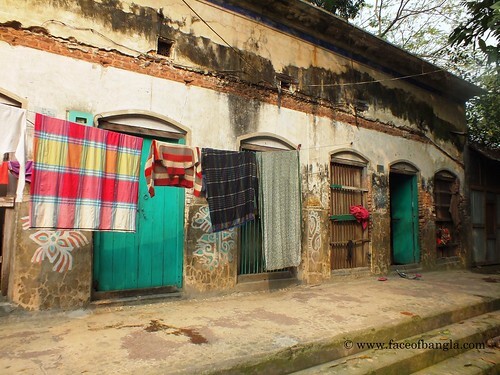 Here, enjoy some photos of the old houses of Totini Prasad Pal.